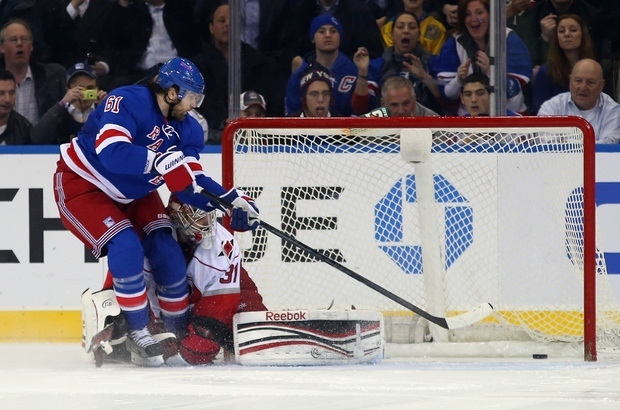 The New York Rangers escaped last night with a shootout victory over the Carolina Hurricanes, 2-1. 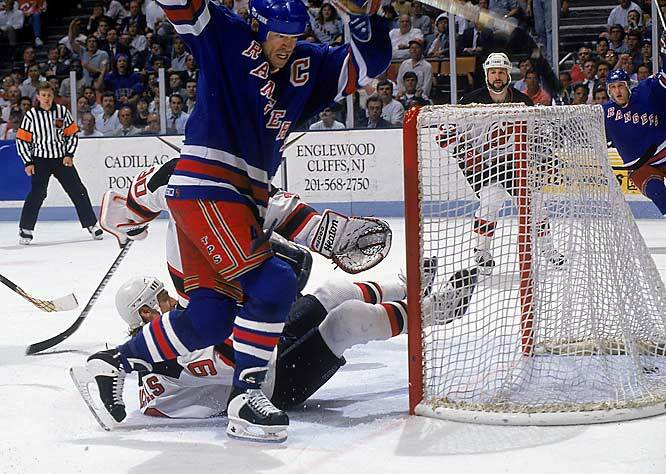 The offense, still struggling, was able to get something going in the 2nd when Canes goalie, Dan Ellis, was bowled over by Captain Ryan Callahan, leading to a Derek Stepan rebound goal. 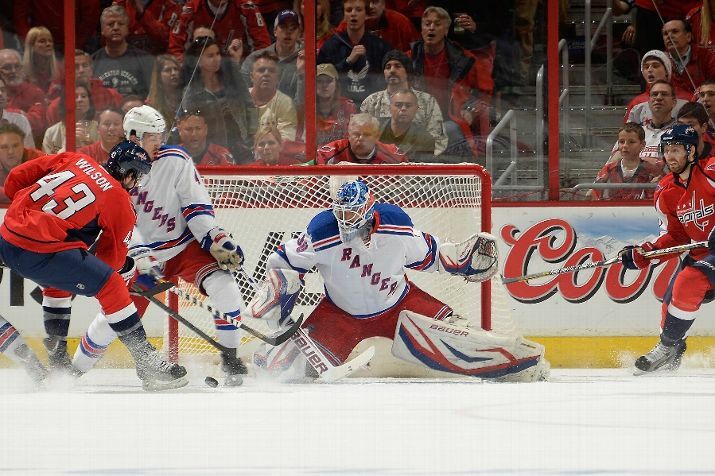 They would not find the net again until the shootout, where Rick Nash and J.T. 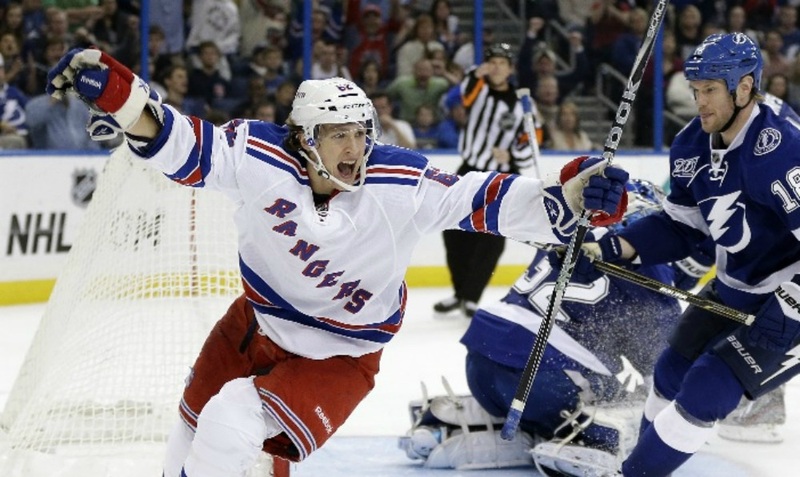 Miller would score two amazing goals to win the game. The New York Rangers defeated the Philadelphia Flyers 2-1 Tuesday night for their 2nd straight victory, sending their record back to .500 at 3-3. 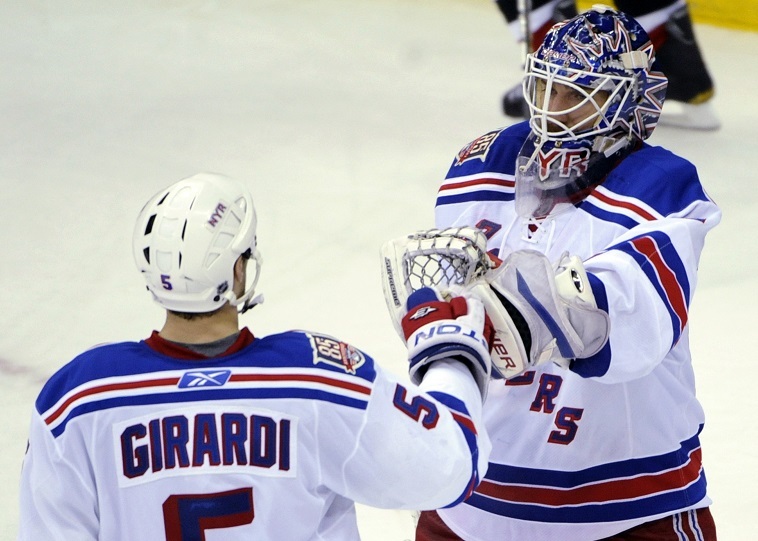 Henrik Lundqvist had perhaps his best performance of the 2013 season, only giving up a goal midway through the 3rd and the Blueshirts were boosted from goals by Michael Del Zotto and Ryan Callahan at MSG. 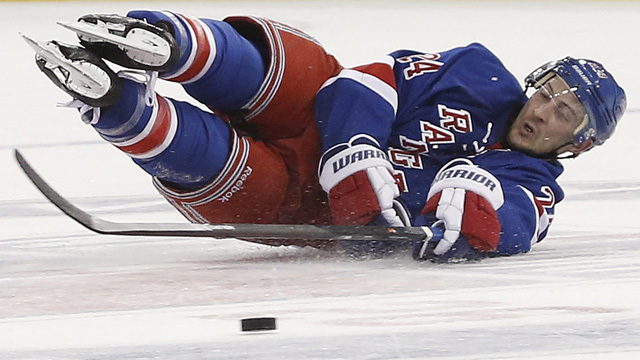 But it is the injury to Captain Cally that has everyone worried. 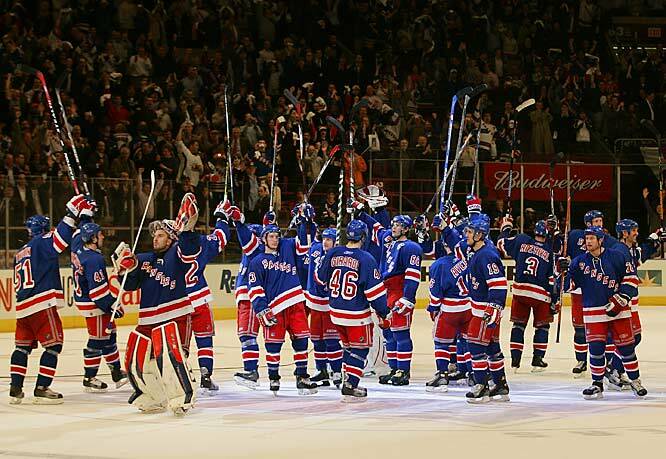 A week ago the New York Rangers finally opened their lockout-shortened season at Madison Square Garden against the Pittsburgh Penguins. News broke in the past few days that the NHL was looking to create a cap of $60 for the 2014 season and even lower past that. Problem with that is, many teams will have quite the problem to fix if their roster has many big contracts. 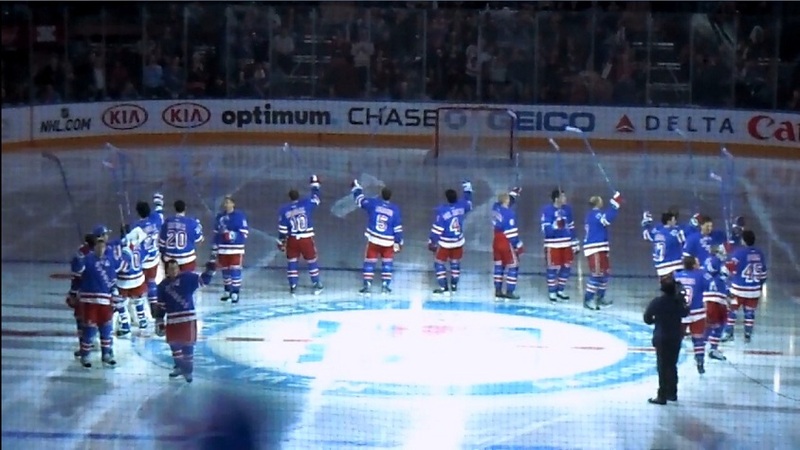 One of them, is the New York Rangers.